That Cheap Duty Free Whisky - where can you find it? 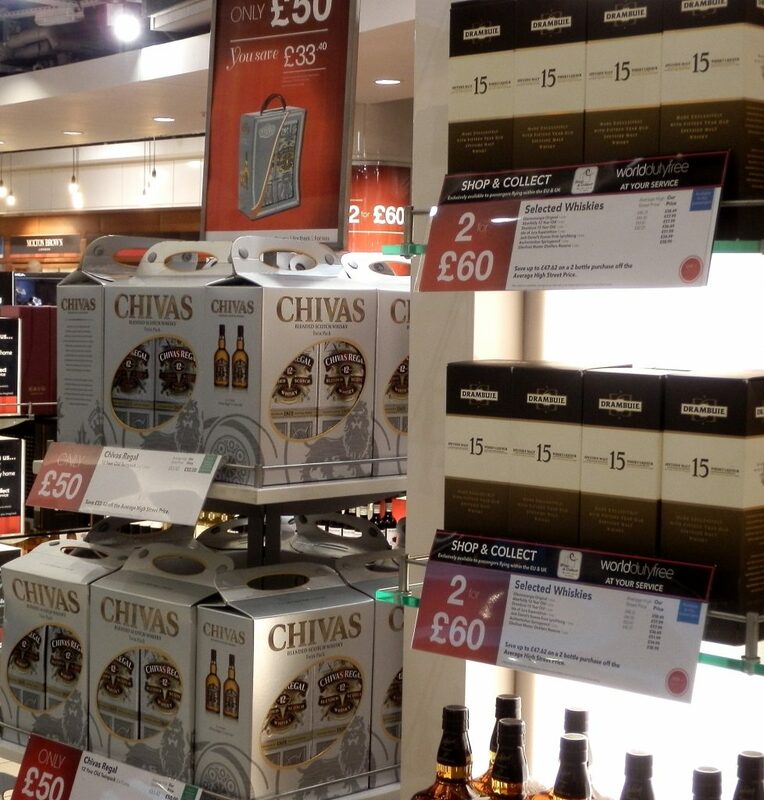 Blog Home > Duty Free Products > Duty Free Whisky > That cheap Duty Free Whisky – where is it? That cheap Duty Free Whisky – where is it? Duty Free Whisky, the best price? So now you know! That duty-free shopping comparison site or blog has just told you that you can save $10 on a bottle of famous brand Aged Whisky in Romania*. Best price for Duty Free Whisky, but is it on the other side of the world to your travel plan? Great news, let’s change our travel plans from Barcelona to Bucharest and swallow up that $10 saving by buying our favourite brand when we get there! Or, should we get-real, ignore these web content generating stories and be serious about what we want to buy and how? In fact, the best place in the world to buy duty free whisky is Brazil, but not because of the price. Brazil and many other South American countries have Duty Free Arrivals stores in the airport designed to encourage business. Many of these countries allow an extra allowance and limit when you get there. In Brazil you can take up to 12 bottles of alcohol into the country duty free, if you buy in their stores. The price is probably more expensive than Romania (sic), but they wouldn’t let you import this Limit anyway. Economies of scale, spring to mind. But, how many Tourists are really going to buy 12 bottles and take them into Brazil? Only the locals who can save a fortune and gift to their friends. 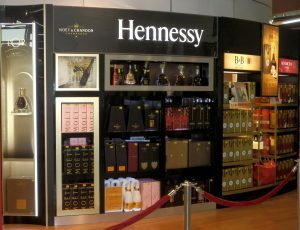 The purpose of our cynicism is that comparing prices for duty free liquors is often a fruitless exercise, because if you ‘aint going there, the savings these comparison blogs tell you about are completely irrelevant. Most potential buyers of Duty Free goods, know what they want for their journey and actually, the availability of their chosen brand is the most important issue. Not the saving of a few Dollars in an airport on the other side of the world. We see searches daily, where people are looking for their favourite brand, not the best price. Clearly, if you can save money, treat yourself and buy a nice tipple for your vacation or that balcony overlooking the Med, all well and good. But, this is only done by checking the stores and products available en-route. Duty Free Cognac, high priced, but still cheaper than at home. Don’t get it confiscated! The other important matter for “liquids in transit” is to ensure that you don’t get your prize Duty Free Cognac or Whisky confiscated. There is nothing more galling than getting your bargain, then to have some officious security guard take it off you at the airport scanner. 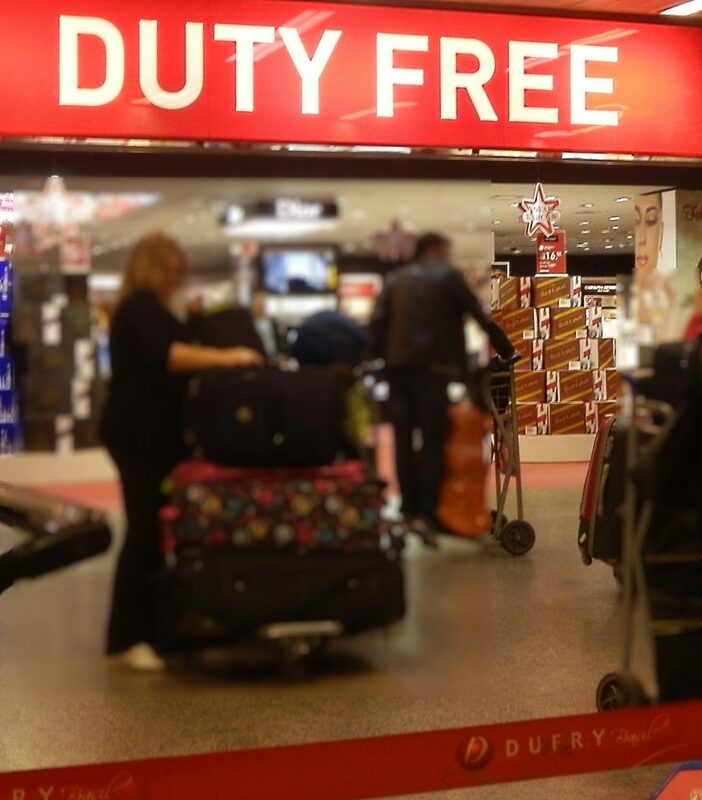 Nobody will be more delighted than Duty Free on Arrival if you find the bargain you want and get it home safely, but we suggest that you search by store and in conjunction with your travel itinerary and not by the best price, quoted by a comparison site trying to just generate web traffic. There are many discounts to be found in Duty Free stores and many advantages, but if you are “not going that way”, those comparisons are useless***. Try to focus on your destination, your travel plan and the stores available to you, it will pay dividends in the end. Whatever you buy and where and whoever you listen to, one key point…. Get that STEB Security bag. – Make sure you get your goods packed in a special airline security STEB bag. This needs to be sealed, clear and show your receipt inside and on view. If your airport store or airline doesn’t want do this or makes some excuse…. for sure, make sure that you are not connecting flights. Otherwise, you have got a probable issue. The other logical step is to buy on arrival, then the potential problem is removed completely, because there is no security in the baggage claim area**. Otherwise, that super deal you just found, could end up in a bin at at airport somewhere and you seriously irked at losing those savings. We see hundreds of posts on travel forums where people gave the benefit of the doubt when not getting the proper security bag from the store. All this can be checked before you fly at our main Duty Free Directory. Enjoy your Whisky, Cognac or Wine! *We used this as a lyrical example, not because there is any reality to our quote. In fact, there are restrictions on Duty Free shopping in this country, in or out. See our directory for more details. **Australia is an exception, be careful when taking liquids into Australia from other airports. ***See this post explaining Tax Free shopping and the comment made below by an outsider! The poster discussed our poor web SEO, but never mentioned the subject or context of the discussion. Are such blogs in the Duty Free business or the SEO business? And, who controls the business, the search engines or the Travel Retailers? Internacional: Para buscar tiendas libres de impuestos, catálogos y precios, ingresa tu ciudad o país de destino y haga clic "Go". Cuando encuentre la información de su destino haga clic en el icono rojo de Aduanas para la búsqueda restricciones aduaneros. Para encontrar lojas duty free e os preços, inserir destino, click e Go! A cota de isenção alfandegária refere-se ao seu país de chegada e não ao país de partida. Os regulamentos alfandegários podem ser encontrados clicando no botão aduaneiro para a esquerda ou procurando seu país de destino. Next Next post: When your Duty Free Home Delivery is not Duty Free at all!